I waited until today to post this because my mom is currently in transit here from Reno, and I didn’t want to spoil the surprise! We have lots of big changes, so let’s take a look at the journey. Here is what this room used to look like. Wow, what an industrial looking nightmare! 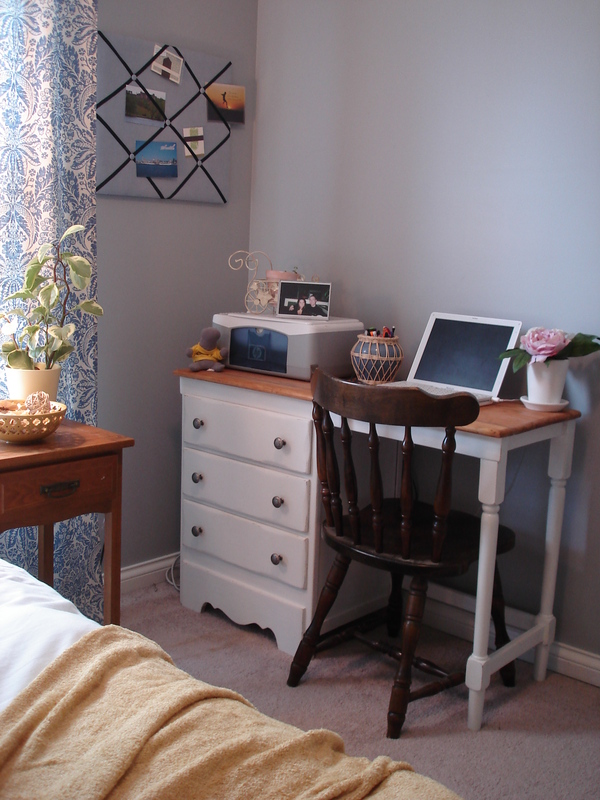 After some furniture refinishing and shuffling (read about it here and here), I started to get more of a vision of how I wanted this room to look. More moving of furniture, setting up a bed, and running cable across the room ensued. 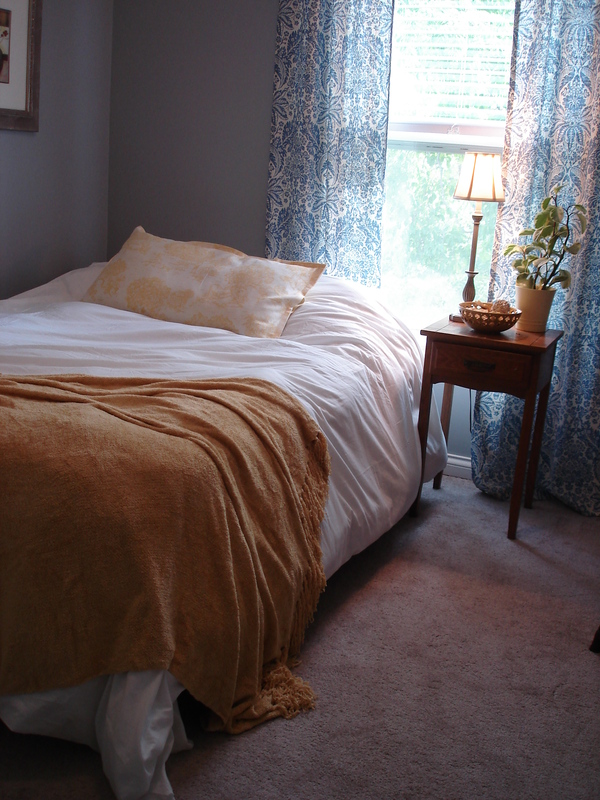 A $4 Goodwill chenille throw and a homemade no sew pillow sham add pops of yellow. I’m planning on refinishing the $8 Goodwill side table down the line. 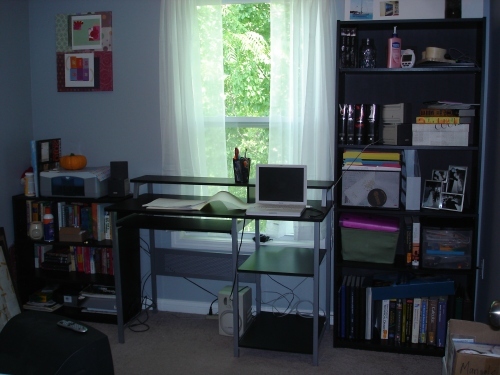 The refinished desk will be functional as an office space, or if a guest wants to set up their laptop. The wooden chair came from the basement, and will eventually be painted. 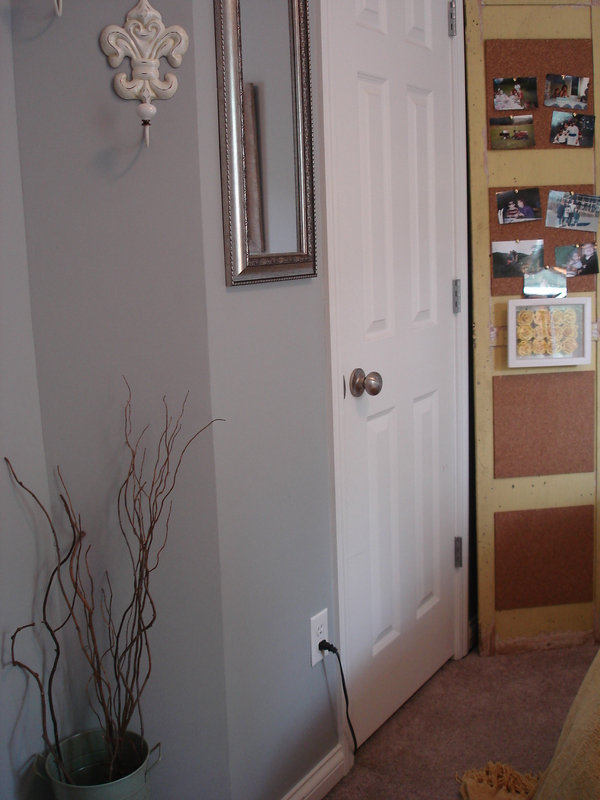 I put up a mirror ($8.99 at Ross) and hooks ($4.30/ea Big Lots) for a jacket or purse to make our guests feel more at home. 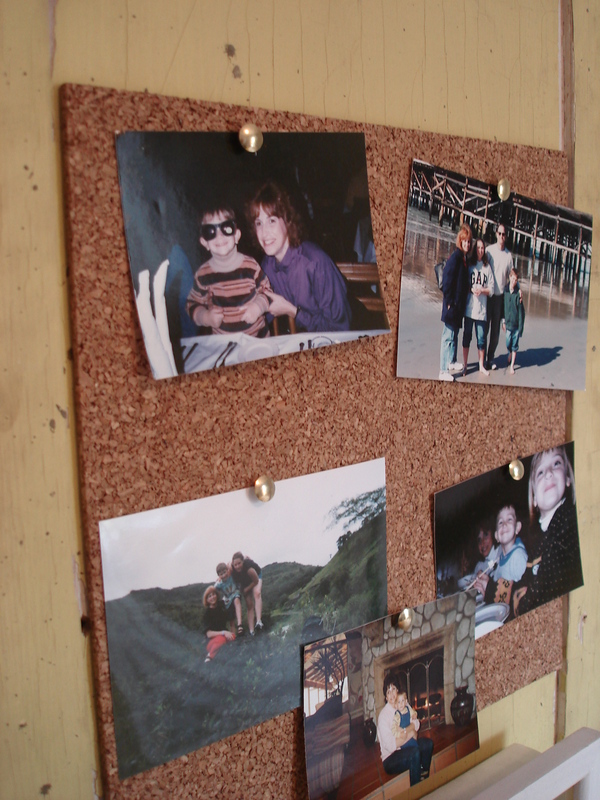 The corkboard I made from an old door holds pictures of us and our visiting guest (in this case my brother and I with our Mom). But, we’re missing one thing right? Where’s the TV? 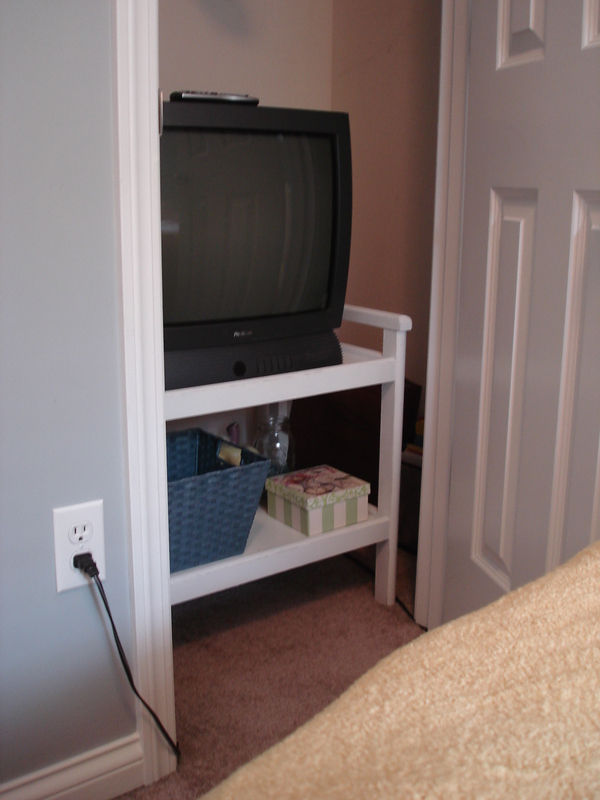 Since we don’t watch TV in there, I decided to make a space saving decision and put it in the closet. Yes, the TV is in the closet (with plenty of room to hang clothes). So, now that you’ve seen Hotel Evans, wouldn’t you like to come visit us? It’s great Rachael! Your mom will be very comfy and surprised indeed!